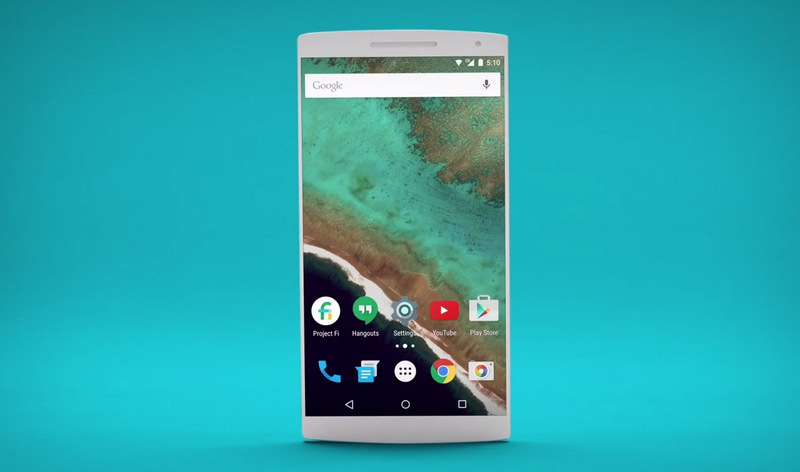 Look, the Nexus 5 2015 in all white! Now that I have you attention with that placeholder device, let’s talk about a couple of new videos that Google added within the last 24 hours to its FAQ for Project Fi. The two videos focus on deciding how much data you should choose to start with on your Fi plan and how you can use your Fi number to call and text from almost any device, including tablets and computers. If you are interesting in Project Fi, but are trying to decide how much data you need to pay for – because remember, Google only charges you for the exact data you use at $10 per 1GB – this handy little video walks through how you can check out your current usage. With Android’s built-in data usage monitor, you don’t even need to check in with your current carrier, for the most part, your phone can already give you that info. But, you probably already knew that, so let’s move on. What about all this talk of using Hangouts to text and call people using a Project Fi number on other devices? It’s true, you can do both things without your Project Fi-activated Nexus 6 in hand. All you need to do is have Hangouts installed on your Project Fi phone and be signed into the Gmail account that’s associated with your Project Fi account to get started. You can then make calls with your Project Fi number from almost anywhere, including Gmail. If you want to text, you just need to tell Hangouts to accept SMS and voicemail. Then, you can go to your tablet, for example, and send a text through the associated Gmail account. More info will likely continue to pop-up over the coming weeks as the first people get service. We’ll continue to share! If you haven’t already, be sure to check out our early guide on Project Fi.